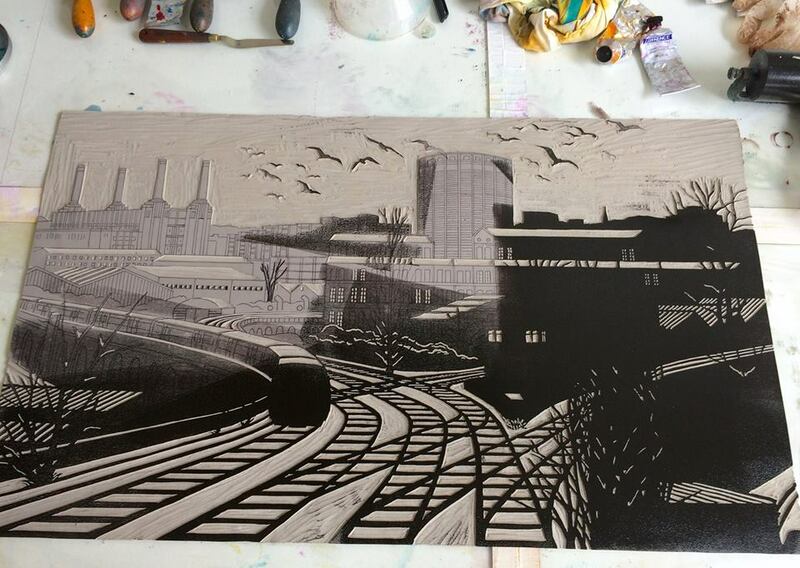 I’ve just taken a proof of the first block of my new linocut – the view from the footbridge at Wandsworth Road train station, looking north towards the river. I’ve been thinking about this one for a while now – I absolutely love these great sweeps of train tracks. 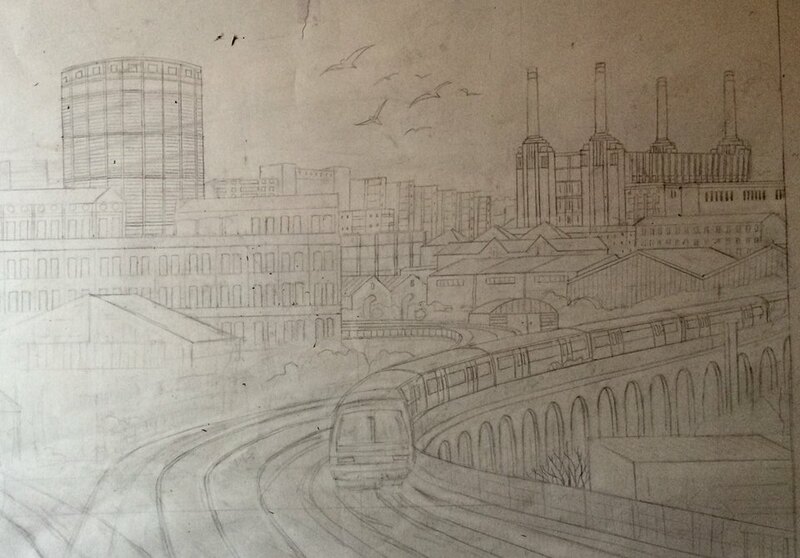 Sadly we won’t be able to see this view of Battersea Power Station for much longer as some much needed ‘luxury’ flats are being built all around the back of it, obscuring it forever. 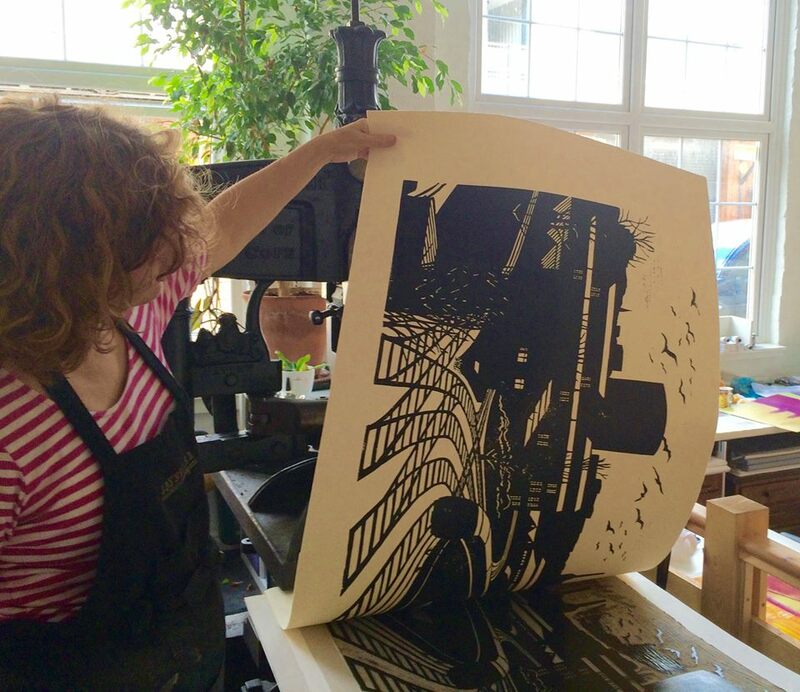 Last chance to catch my London linocuts at Eames Fine Art, including this one ‘City of Gold’. It ends today – Sunday 2nd August. 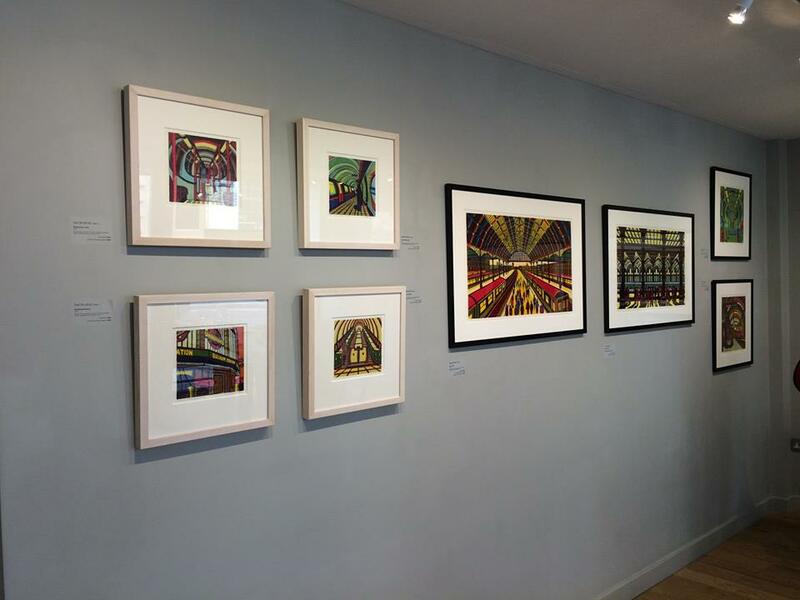 It’s a lovely gallery, just minutes from London Bridge Station – and it’s open from 12-5. Don’t miss it! 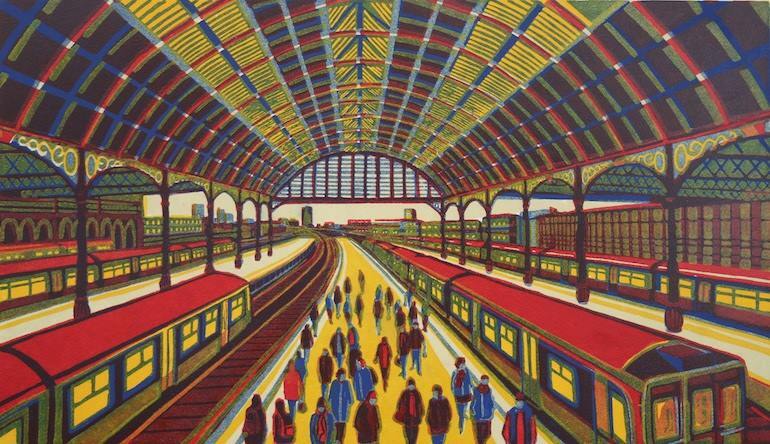 And if you can’t make it today, they always have a large selection of my work in stock at their Studio, around the corner from the gallery, in Tanner St., SE1….